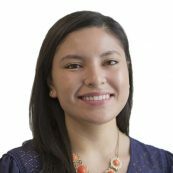 Arely Hernandez is the Accounts Payable Specialist at PYXERA Global. Arely holds a BBA in International Business with a concentration in Finance from James Madison University. Prior to joining PYXERA Global, she studied abroad in Spain where she interned for Elit Internacional, giving her exposure to financial activities in a multinational setting. She also interned as a market specialist for FedBid, a marketplace for federal procurements. Arely is also fluent in Spanish.